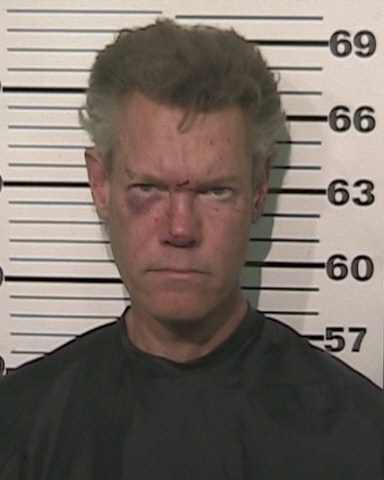 Country singer Randy Travis was arrested Tuesday night for driving under the influence and later charged with "retaliation and obstruction" for reportedly threatening to shoot and kill the arresting state troopers. Prior to the arrest, Travis was involved in a single car crash near Tioga, Texas. When troopers arrived at the scene, they found Travis lying naked on the road. Permission to obtain a blood sample had to be obtained from a judge after Travis refused to submit to both blood and breath tests. While being transported to the Grayson County Jail, Travis "made threats to shoot and kill the troopers working the case," according to a statement by the Grayson County Sheriff's Office. 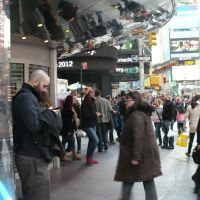 He was booked on a misdemeanor DWI charge and a felony retaliation charge, which carries a punishment of up to 10 years behind bars. The singer was given scrubs and released early Wednesday morning on a $21,500 bond. Grayson County District Attorney Joseph Brown said Travis's February arrest for public intoxication will be taken into account when his most recent case is brought before a judge.